Psychiatric Hospital, and The HealthSouth/Southern Hills Rehabilitation Hospital in Princeton. with Bland County Medical Clinic. 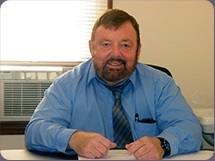 Dr. Frethiem received his doctoral degree in Clinical Psychology from The University Of Denver in 1981. Veterans Administration Medical Center in Houston, Texas which is fully accredited by the American Psychological Association. Dr. Frethiem is a preferred provider for most private insurance companies and accepts Medicare, and Medicaid. Unlike masters level psychologists, he is able to provide psychotherapy services to Medicare patients as an independent practitioner. 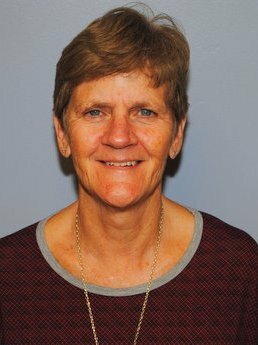 Dr. Frethiem has 40 years of clinical experience providing a very wide range of clinical services in various outpatient and inpatient settings. Psychotherapy for adults, children, families, and marriages. such as tension headaches, & stress related gastrointestinal conditions. Helping patients cope with the stress of various medical conditions such as chronic pain and cancer. panic attacks, and chronic pain. Psychological testing to evaluate a wide range of psychological and neuropsychological problems. Tazewell County area for 26 years. Donna received her Master of Social Work Degree from Virginia Commonwealth University in 1987. Better Beginnings for Virginia’s children. Her second internship was with Cumberland Mountain Community Services. domestic violence, trauma, chemical addictions and family dysfunctions. She has completed training in Co-Parenting Issues for families and children experiencing divorce. Donna is trained and certified in EMDR (Eye Movement Desensitization and Reprocessing) Therapy. This therapy was initially developed for use with trauma victims but has found to be effective in treatment of many other mental health conditions. and has a passion for helping communities address the issue of addictions as well as other “Hurts, Habits, and Hang-ups”. Donna is a provider for most private insurance companies and she accepts Medicare and Medicaid. treating the Behavioral Health issues of those experiencing health/behavioral health conditions.